I’ve said it before and I’ll say it again, the West Coast of Australia is my FAVOURITE part of the country to road trip and that’s a fact! There’s just something about the grandeur of it all, the vastness, the emptiness, the enormity… and the lack of people that immediately grabbed my heart and wouldn’t let it go! No surprise then that when I finally clambered out of the Landrover and decided to stay put for a few months it was on Australia’s west coast too! So after spending almost a year living, working, travelling and exploring this state, here’s my full rundown of the ULTIMATE West Coast Australia road trip to end all road trips! This way you can easily mix and match your itinerary, so just jump to the relevant section and start your planning now! Begin your West Coast Australia road trip in the northern frontier of the state – Lake Argyle. Quite the engineering feat, this flooded valley, which hugely helped to aid agriculture in the area, is seriously impressive and stretches for miles. Grab your snaps and then head back to set up camp and chill at the Lake Argyle Resort & Caravan Park. This award-winning caravan park (and its infinity pool) is awesome! 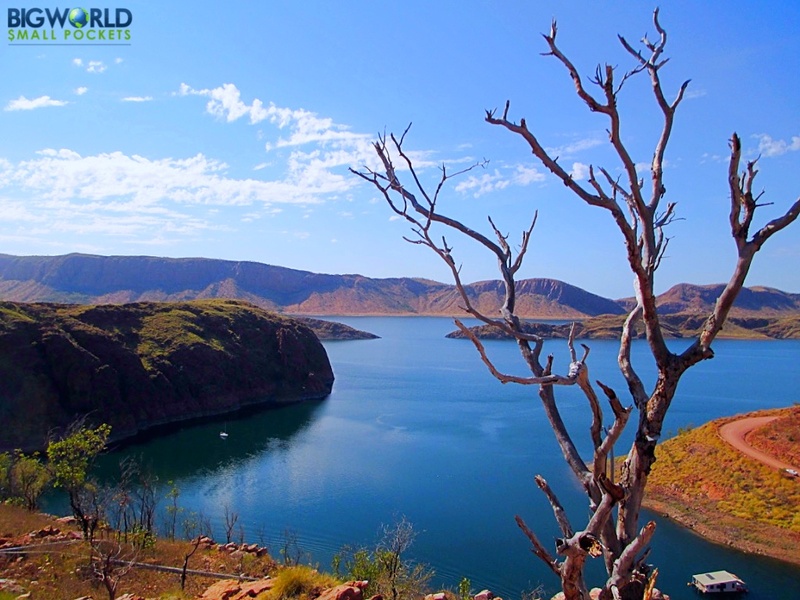 From Lake Argyle, your first stop should really be the town of Kununurra! There’s loads to do around this cute little hamelet and you could easily keep extending your stay for a number of days. 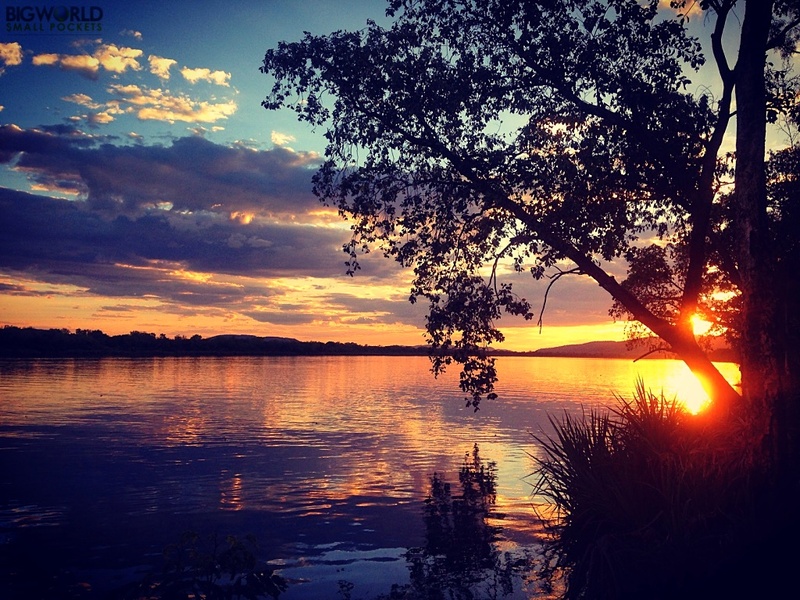 For some ideas about what to do, check out my post about the best free things to do in Kununurra … oh and another tip, make sure you stay at the Discovery Parks – Lake Kununurra, the sunsets and sunrises here are to die for! 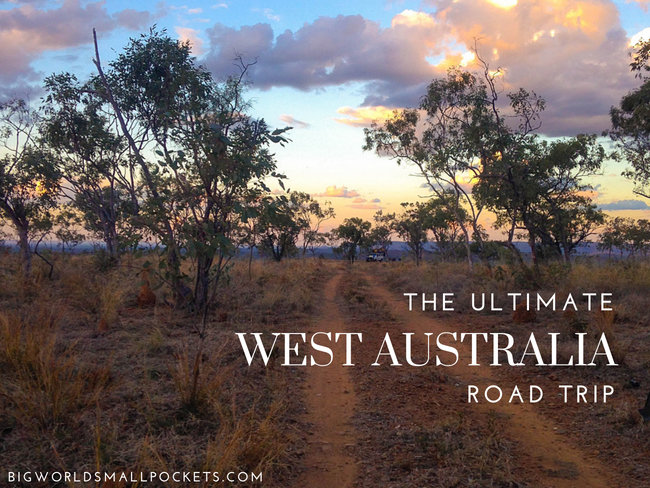 From Kununurra the road splits, giving you 2 options for your West Coast Australia road trip! For those with 4WD, why not attempt the famous Gibb River Road? For those who want to take the 2wd Great Northern Highway option, there’s plenty along here to see as well. And for those who want the best of both worlds (like I did) pick and choose between the 2! From Kununurra, head north towards El Questro and spend 2 nights there, exploring the amazing Zebedee Hot Springs, Emma Gorge and more. Take a side trip to Wyndham to see the Fiver Rivers Lookout before heading onto to take a hike and a dip at Bells Gorge and then spending the night near here. 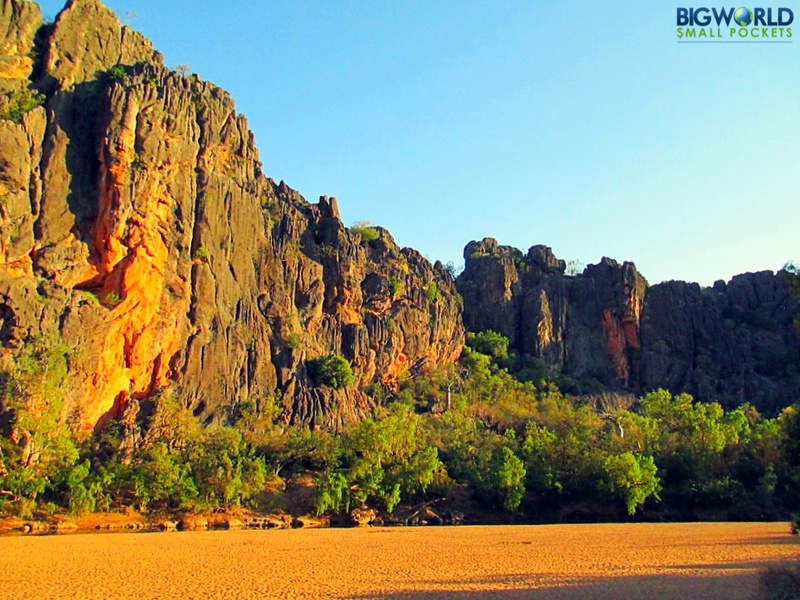 From Kununurra, make your way into Purnululu National Park. 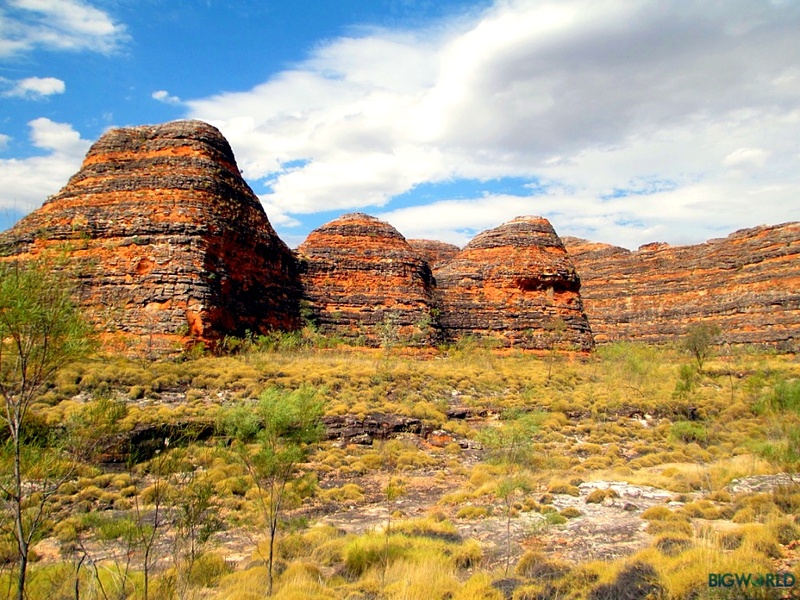 Absolutely spellbinding, you’ll need 2 nights here to really appreciate the spectacle of the giant beehive-like rock formations and the park’s other attractions including Cathedral Gorge and Echidna Chasm. Do beware the ride into the park is ROUGH however and a 4wd is essential… it will also take you ages! After this, make your way west stopping 1 night at Fitzroy Crossing on the way – we thought it much nicer than Halls Creek and there was a good visitor centre there. Both the Gibb River Road and the Great Northern Highway essentially join at Windjana Gorge, so this is a stop worth making regardless of the West Coast Australia road trip route you take. Be sure to walk into the gorge and don’t miss the daily croc display! You can camp here and there are showers as well – hoorah! The final stop before Broome, Derby is an interesting little town worth exploring. The main attractions include the highest tides in Australia, which can viewed from the Wharf, and the Boab Prison Tree believed to be about 1500 years old. Stop here and spend the night, or glimpse it in an afternoon before motoring on to Broome. 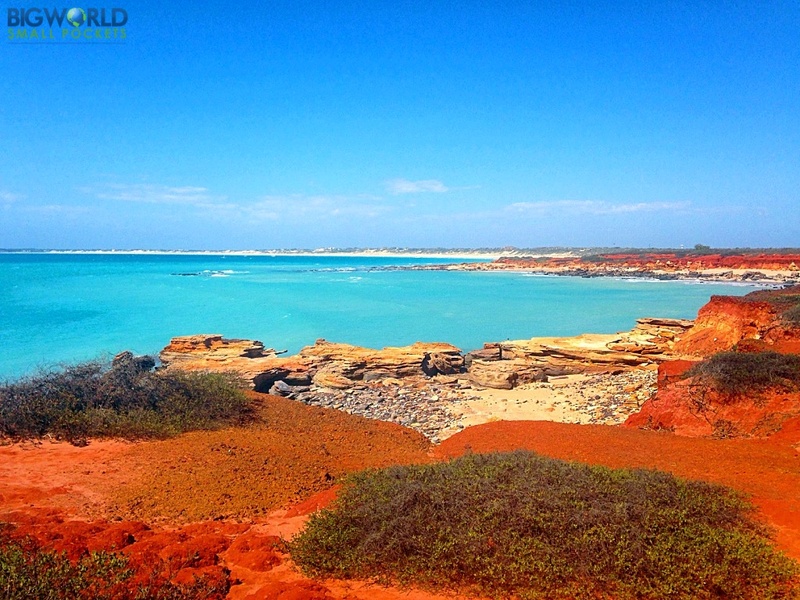 Prepare for some intakes of breath as Broome’s spectacular landscape has you running for your camera! 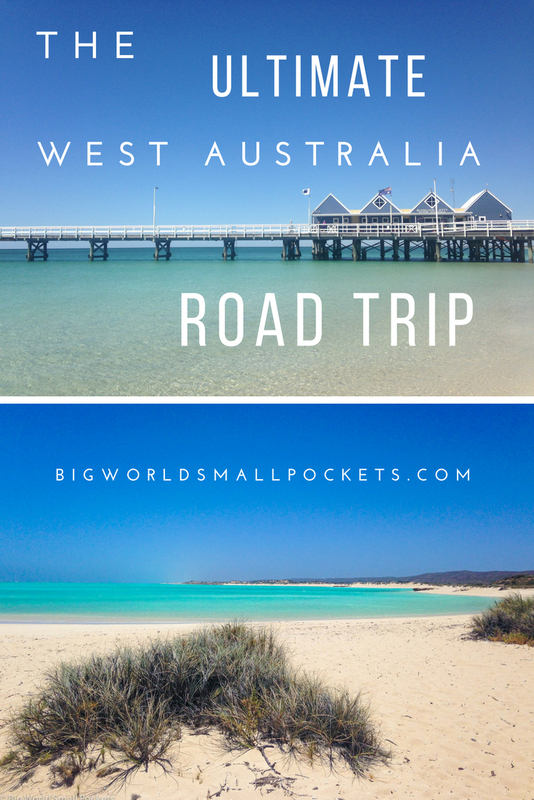 Yes this town situated at the top of Western Australia is no less stunning than you would expect, and an absolute must on your West Coast Australia road trip. Everybody loves Broome and it’s easy to see why with Cable Beach Sunsets, Gantheaume Point views and a rich cultural heritage evident throughout the town. Check out my favourite free things to do in Broome, as well as my guide to the best Broome Caravan Parks and allow yourself at least 3 days to explore all this magnificent destination has to offer. 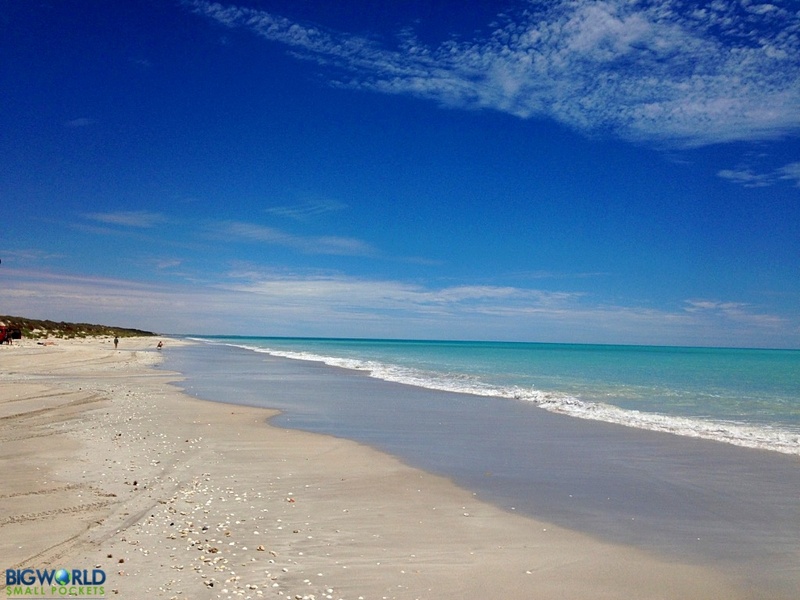 Eighty Mile Beach is certainly worth a stop as you begin your journey south. The colours of the coast here, as they spread before you, are unbelievable and the brilliant eighty mile beach caravan park sits right on top of them. Not the most picturesque of places, it has to be said, the mining town of Port Hedland is, however, a great overnight stop if you want to grab a decent coffee and replenish supplies. It’s also a good place to spend the night before you head to Karijini National Park. I highly recommend the Discovery Park – Port Hedland caravan park in town, which is situated right above the gorgeous beach of Pretty Pool that has stellar sunset views. In town itself, there’s loads of FREE things to see (check out my full list here), including the snow mountain – Rio Tinto’s massive huge salt piles – the never-ending iron ore trains or the insanely huge shiploading facility. 20 billion years in the making, the ancient wilderness of Karijini National Park is definitely worth a 2 night stopover on your West Coast Australia road trip. 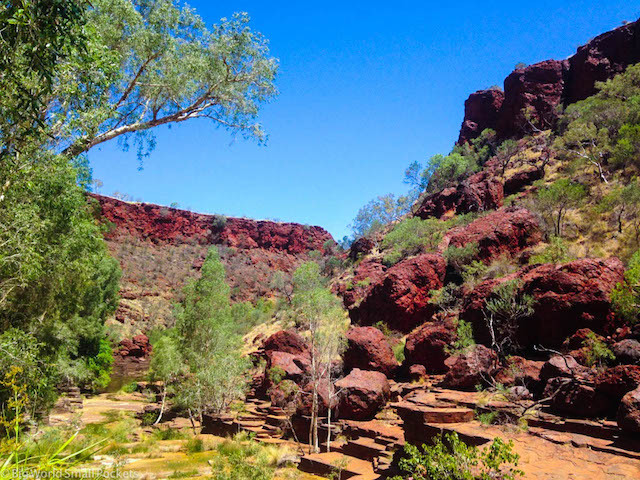 Set in the remote Pilbara region, Karijini showcases some stunning landscapes with incredible gorges, waterfalls, swimming holes and lookouts you can explore on foot and by vehicle. Accessible even by 2wd vehicles, there is basic national park camping available, or upgrade and enjoy a spot of glamping at the Karijini EcoRetreat. The Spider Walk is the most epic attraction for the intrepid explorers among you and it’s hard to beat Fortescue Falls for a delightful dip. The park is split into 2 sections and both are worth exploring, so do give yourself plenty of time. Today’s the day to head to the amazing Ningaloo Reef. Choose to either base yourself at Exmouth – the main town in the region and best for diving – or at Coral Bay – a much smaller settlement great for snorkelling with Mantra Rays. Get here and book your excursion for the next day – after all, you can’t come to this incredible UNESCO World Heritage Site and not get out on the water to explore it. For those choosing Coral Bay as a stop, you can also hit the beach to check out the shark nursery. There’s 3 caravan parks in town, but I think Bayview was the best. For those, selecting Exmouth, spend the night at Potshot Hotel Resort where you can camp, grab a dorm bed for the night, or splash out on an apartment. Then head to the Vlamignh Head Lighthouse near Exmouth for stunning views over the reef, especially at sunset. If you have time, then you definitely want to check out Cape Range National Park too. This stunning reserve protects both the reef and an on land area, where emus, echidnas and roos roam freely. Highlights include Yardie Creek and Turquoise Bay – the colours of which really have to be seen to be believed! You can camp cheaply in Cape National Range National Park too. Next on your West Coast Australia road trip, it’s time to head onto the country town of Carnarvon – the fresh produce capital of Western Australia. Here, the One Mile Jetty, the Fascine and the Heritage Precinct Museums are all worth exploring (free to enter or by gold coin donation). 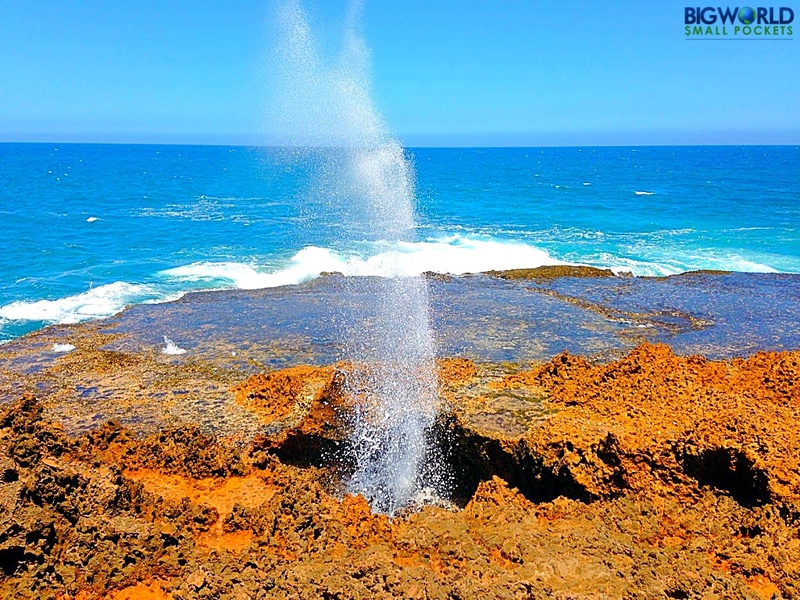 Drive Carnarvon’s fruit loop, stopping at farm shops to buy some delicious local produce, before heading out to see the amazing Blowholes at Quobba Point! Then either camp cheaply out here or head back into town and stay at the awesome Wintersun Caravan Park. 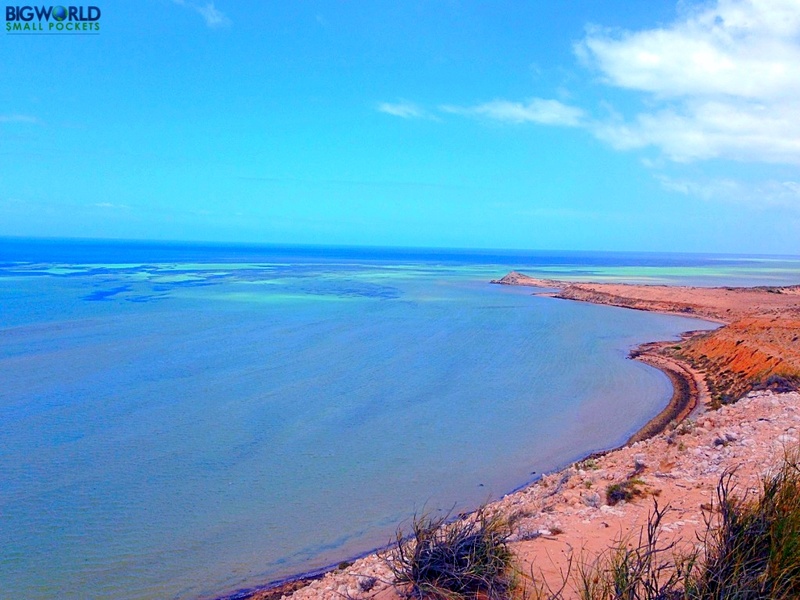 Continue south from Carnarvon to the UNESCO World Heritage Area of Shark Bay. This is really where the Outback meets the ocean, so be prepared for some gorgeous views of red dirt hitting white sand and the turquoise Indian Ocean beyond. There’s tons of incredible free things to do in Shark Bay – from Stromatolite boardwalks to dugong spotting and even soaking in an artesian water hot tub. Most of these are situated along the World Heritage Drive, which takes you up the Peninsula to the main town of Denham – a great place to enjoy a picnic lunch on the foreshore. Then continue onto Monkey Mia and camp at the RAC Monkey Mia Dolphin resort. 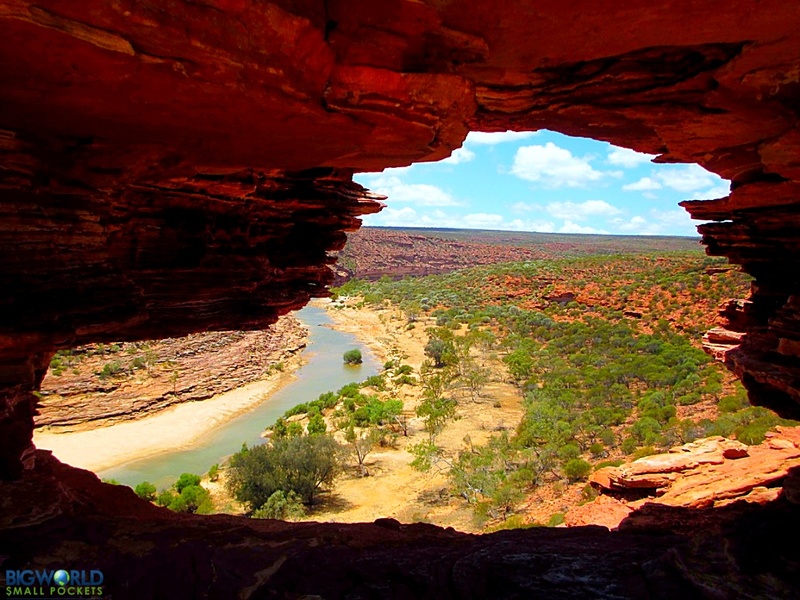 Kalbarri National Park is another definite highlight on your West Coast Australia Road Trip. From stunning gorges to sensational lookouts, don’t forget the camera when it comes to exploring one of Australia’s best national parks. Highlights include Nature’s Window and the Z-Bend. There’s no camping within Kalbarri National Park, so return to the nearby town to spend the night at the YHA Backpackers, stopping at the Meanarra Hill Lookout on the way. 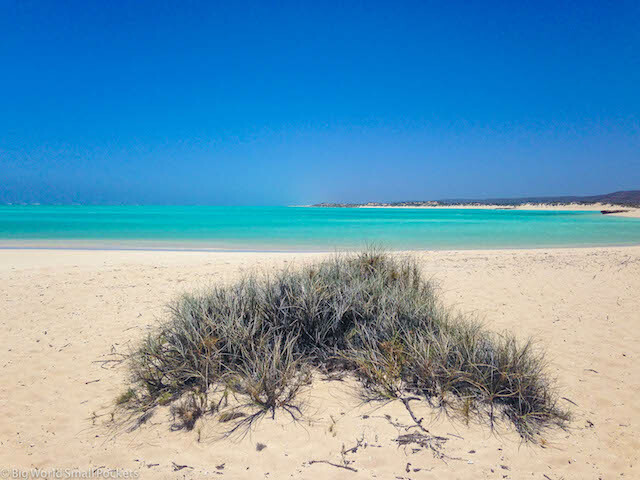 Finish with a delightful swim at one of Geraldton’s great beaches or watch the windsurfers and kitesurfers ripping it up at Point Moore and Coronation Beach. TOP TIP: Buy a WA Parks Pass before your road trip and save on a ton on National Park entrance fees. From Kalbarri, motor on to Port Gregory to check out the Hutt Lagoon, otherwise known as the Pink Lake. This bubblegum-coloured body of water really has to be seen to be believed and will give you some of the best photos of your West Coast Australia road trip! Then it’s time to drive onto Geraldton. 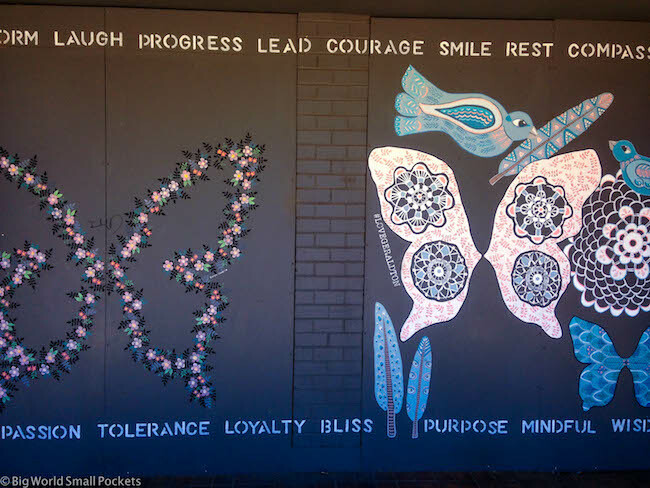 I loved this cute little town, wich has some super quirky cafes (Quiet Life was my favourite), great street art, historic buildings and a lovely Esplanade to explore. There’s also the HMAS Sydney II Memorial and the brilliant Museum of Geraldton (both free to enter) which are definitely worth checking out. Treat yourself to a night at Ocean West Apartments (still affordable, but nice if you want to have a proper bed, kitchen and a swim in the pool) or camp very cheaply at Ellendale Pool. Leaving Geraldton, it’s all about the Indian Drive, which takes you south towards Jurien Bay, snapping the awesome Leaning Trees at Greenough as you go. During the months of July to October, there are spectacular wildflowers to be found here too, so head to Lesueuer National Park to see the best displays. Otherwise, make a beeline for Nambung National Park, otherwise known as The Pinnacles. These crazy looking desert towers make for an awesome excursion and are best captured at sunset, when the colours of the golden sand really spring to life. 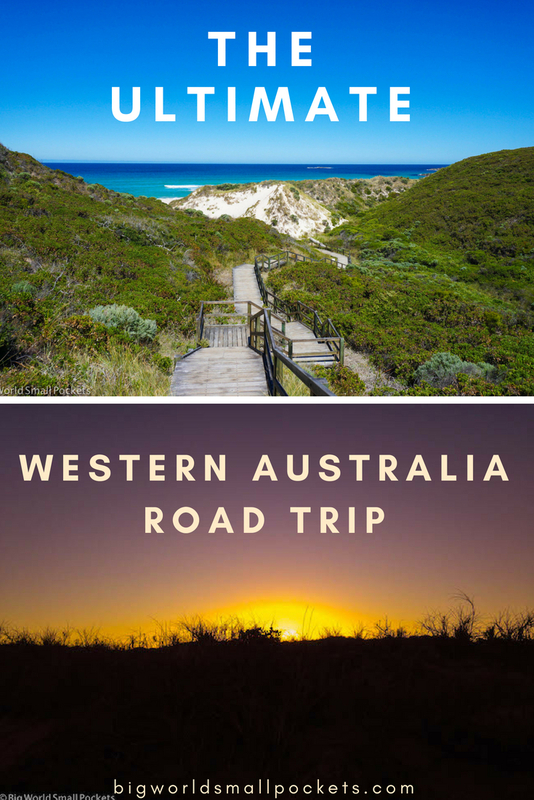 Then head onto Perth to complete another section of your West Coast Australia road trip! 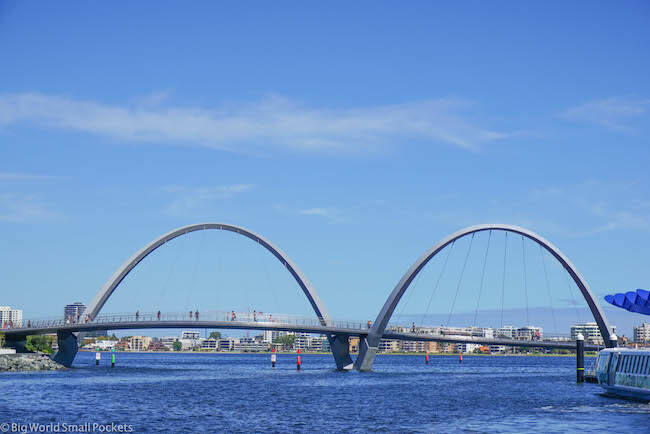 Have an easy day’s travel from Perth on the first day by just hopping, skipping and jumping across the river to the historic port city of Fremantle – a former industrial hub, now progressive, hipster, artistic mecca! 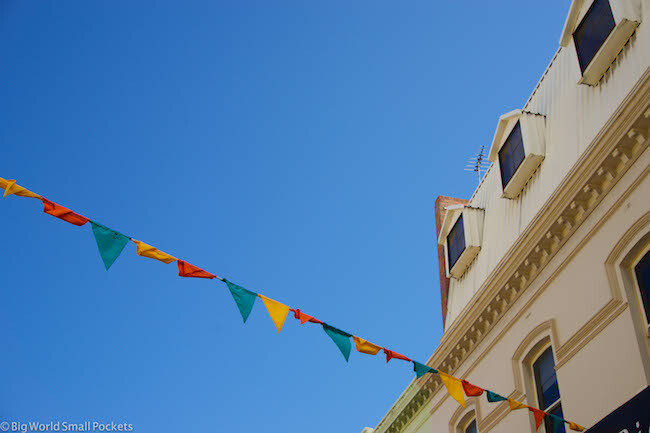 From cafes to vintage shops, markets to heritage buildings, there’s tons you can fill a day or 3 with here! Why not check out the Fremantle Prison, the WA Maritime Museum or Little Creatures Brewery for a start. Or else pop over to Rottnest Island to rent a bike for the day and meet the Quokkas! Ferries with Rottnest Express leave from right near the centre of Fremantle and take only 45 minutes to cross. Either way, end your day in Fremantle at the wonderful Old Fire Station Backpacker Hostel – it’s like a home away from home that puts a funky spin on a beautiful heritage building in the true Freo way. After Freo (as the locals love to call it!) stop in at Dunsborough, a cute little coastal town where you can grab a great coffee and breakfast to set you up for the day. The head onto the Bussleton to snap and stroll the incredibly picturesque 148 year old jetty – I think it has to be one of the prettiest in the whole of Australia. This gorgeous seaside resort also boasts lots of lovely cafes and its safe swimming beach, set within Geographe Bay, is the perfect place to unwind. 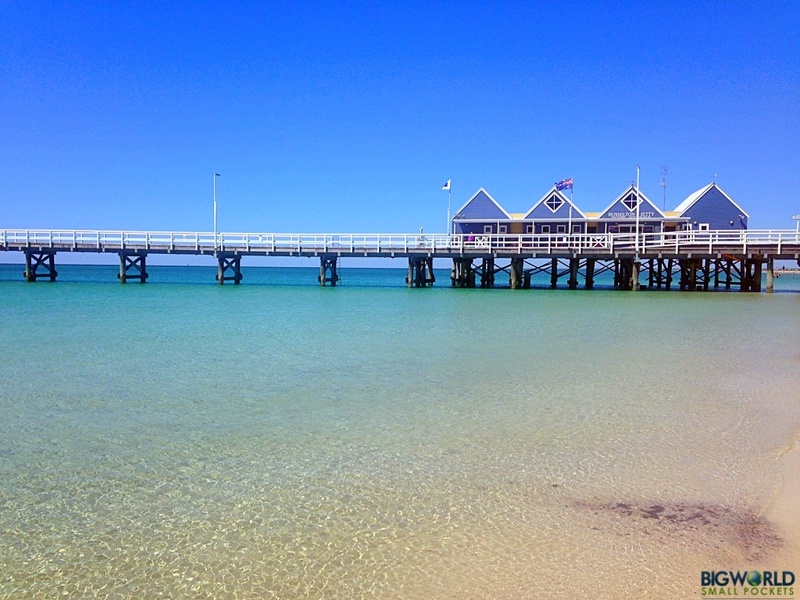 Check out the RAC Busselton Holiday Park for a great value option accommodation options here. After Bussleton, the forested beauty starts as you make your way towards Margaret River. The beach at Prevelly is a gorgeous spot to relax, as is Gracetown, Sugarloaf Rock, Canal Rocks and Cape Naturaliste Lighthouse. 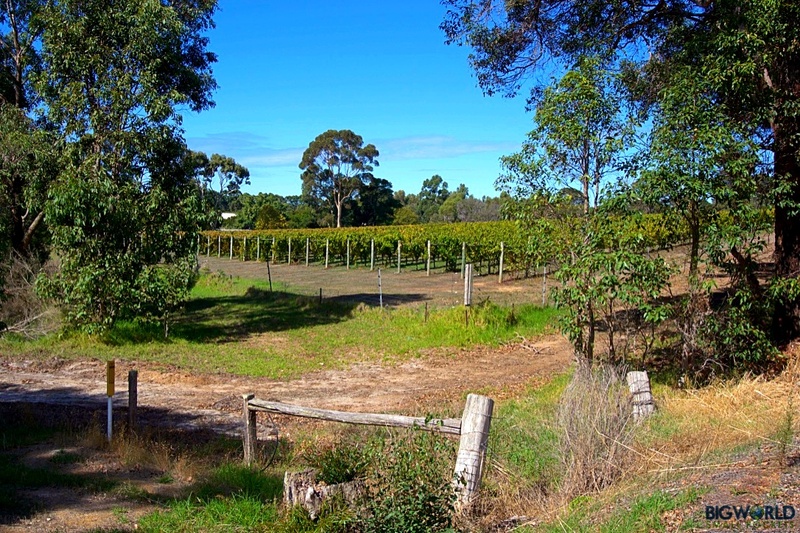 And you can’t come to Margaret River and not savour some of the delicious local produce, wine and treats that are grown and developed in this rich area. From open cellar doors to farmers markets, it’s all here for the tasting and a drive along Caves Road will give you more options than you can ever hope to fit into your time. And if you’re still looking for things to do, then there’s plenty of caves to explore, trails to hike, lanes to drive and tracks to cycle too! Afterwards, move south and check out Augusta. The bottom of the peninsula, this spot will give you a great chance to snap the tallest lighthouse in Australia and even spot whales between the months of June – September. Along the way you can’t miss Hamelin Bay where giant rays can be seen right from the shoreline! From there head to Conto’s Campground within Leeuwin-Naturaliste National Park to spend the night close to the shoreline, or else head into the town of Margaret River itself where Margaret River Lodge is a great budget option. It’s time to start leaving the coastline and heading inland again on your West Coast Australia road trip towards Pemberton. And if you’re into big trees, then the Gloucester Tree just outside of this town takes some beating. Set in the heart of Karri Tree country, this is the world’s tallest fire lookout tree, which you can climb to enjoy views above the canopy… if you’ve got the nerves for it! After a big day, finishing up at the Pemberton Best Western is the perfect place to unwind. After your relaxing day in Pemberton, it’s really time to get on with some serious driving and the stretch down to Albany is a serious one. 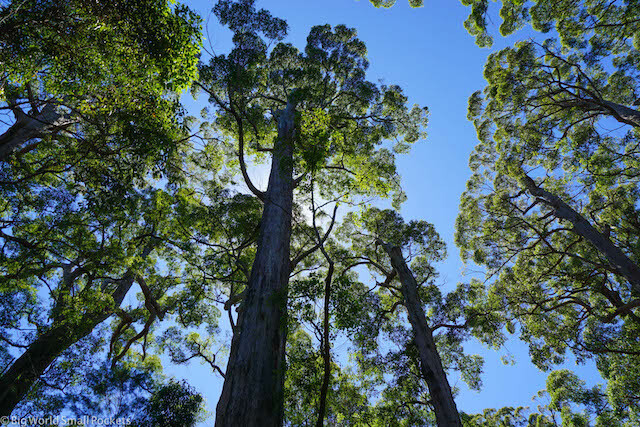 On the way, the Walpole-Nornalup National Park is the heart of the Tingle Tree country. These towering giants rise 40m above the forest floor and can be enjoyed via some delightful free walking trails through the forest. After that, heading to William Bay National Park is a must. Here the amazing Elephant Rocks and Greens Pools are the perfect place to while away an afternoon and enjoy a swim, before skipping up to the cute town of Denmark. Once in Albany, Torndirrup is another stunning national park you need to visit. 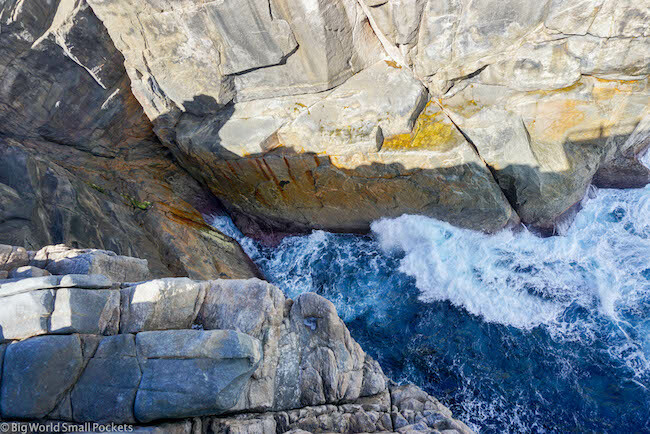 The Gap and the Natural Bridge here are quite remarkable and will give you a direct insight into the force of the great Southern Ocean which roars around you. After this, a drive to near the Old Whaling Station gives sensational views as well or, back in town, the National ANZAC Centre is well worth a trip too. Finish your time by watching the sunset from West Cape Howe National Park, where you can also camp right on the beach – bliss! From Albany, head up to Porongurup National Park – one of the oldest ranges in the world. It is well worth climbing the granite skywalk here to enjoy the stunning views it gives. 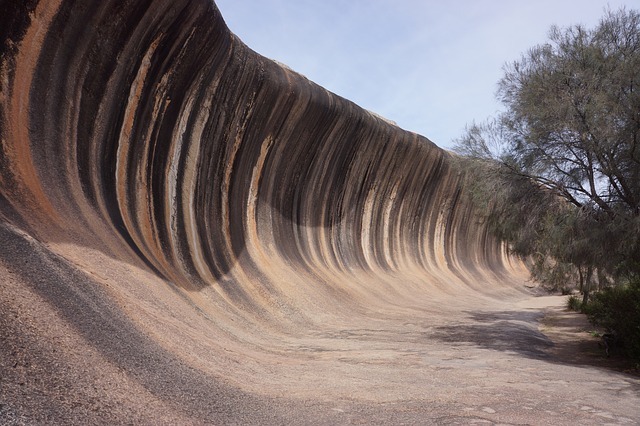 From there it’s time to hit the gas and make it all the way to Hyden, the home of the famous Wave Rock, which you can explore and snap the following day at your leisure. The final days of your West Coast Australia road trip, can hardly be better spent than at one of the state’s most fabulous stretches of coastline. With its resident kangaroos that love to lounge on the beaches here, through to plenty of fishing, surfing and sailing on offer, this is a mecca for water lovers everywhere. There’s also the amazing Cape Le Grand National Park to explore with its stunning sand dunes, or why not enjoy the Great Ocean Drive which gives amazing views of the coast here, including the Pink Lake! So there you have it, my ULTIMATE West Coast Australia road trip. Have I inspired you to get away from the east coast yet?! Hi Sam, blimey there’s a question… I mean how long is a piece of string! Darwin to Broome without the Gibb is easily achievable in 10 days. You’ll want some good time in Broome, maybe 5 days, and then I think 3 weeks is the enjoyable minimum you get can down to Perth in from there. Really depends how much you want to see. Parks like Karijini and Kalbarri are all accessible to 2wd. I think Broome to Perth is definitely worth the drive time as there’s a lot to see on the way. If you don’t have a 4wd and are pushed for time, the Darwin to Broome stretch is a lot more barren and wild – just depends what you like!